A set of approx. 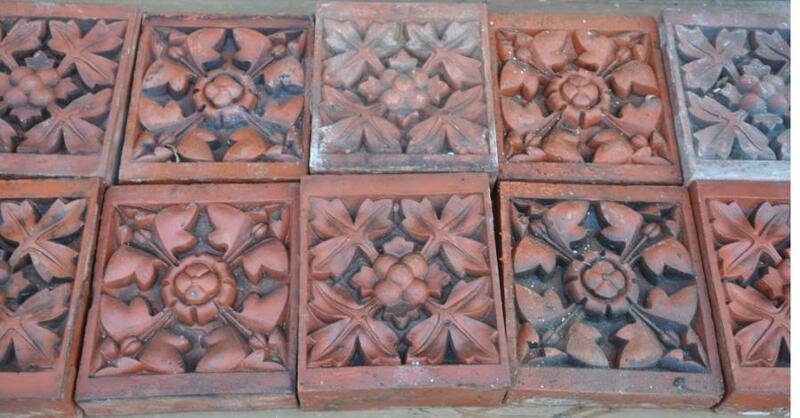 10 19th century antique decorative terracotta bricks. Southport Floral. 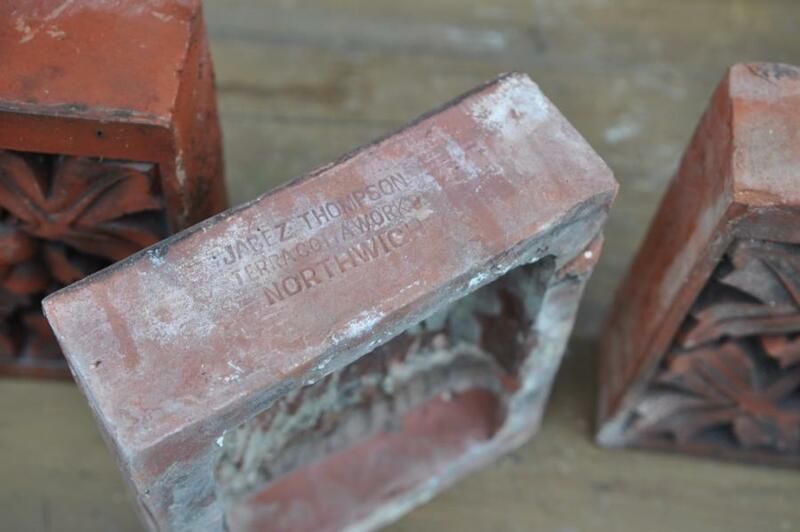 From two larger panels beneath windows from a house in Southport.Somewhere i have the insitu photos.There are two slightly different types,3 of one and 4 of the other.Work well together.Imprinted: JABEZ THOMPSON TERRACOTTA WORKS NORTHWICH Please Note;colour difference is due to some of the bricks being wet and some dry. 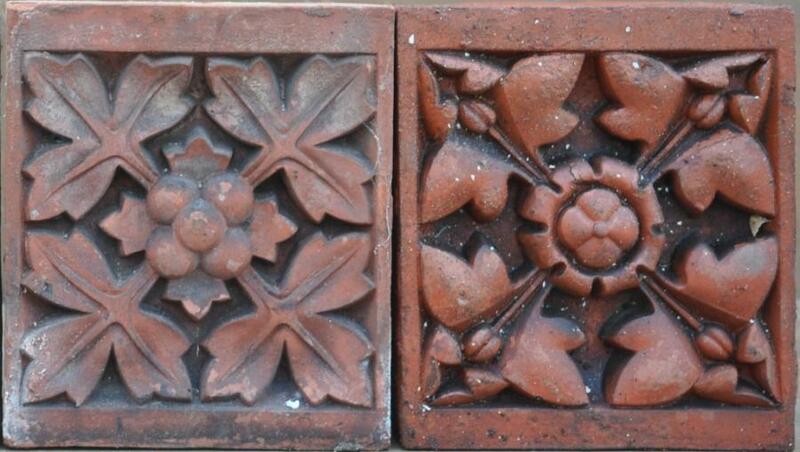 Dimensions in inches/cms or inches alone; 3 of one to left(of the side by side) photo , 9/23 x 10.25/26 x 3" deep 4 of one to right, as above x 2.25" deep Part of a collection of decorative terracotta i am now advertising. All reclaimed from English Victorian buildings over many years. For an overview and price list of all the collection please email me and i will send the word document. Also please see other adverts.